This stunning shoe is from the new Menbur sister brand, Paco Mena. 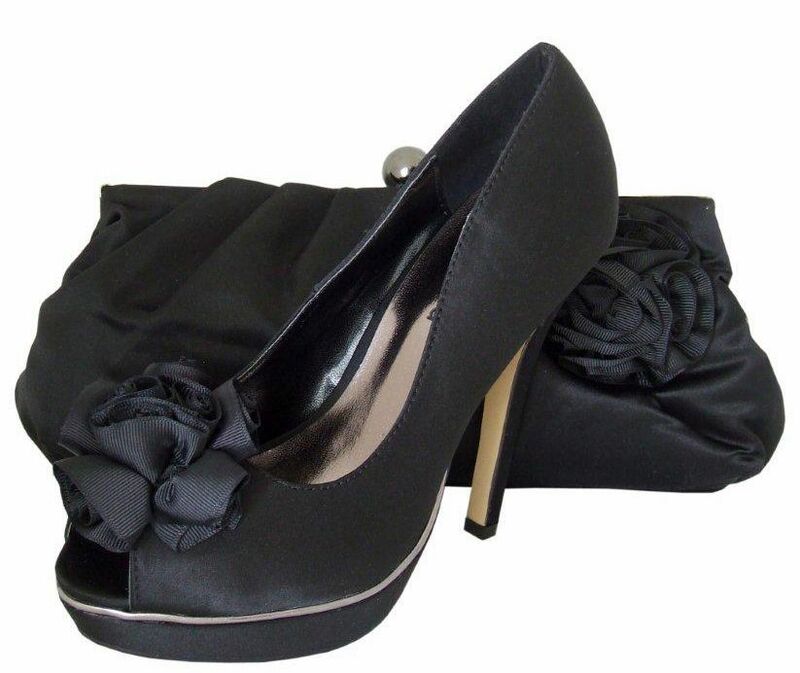 Black satin shoe with peep toe and a striking flower deatiling at the toe. Platform sole with a chrome trim band and a 12cm satin covered heel. The shoe is not a generous fit and if you are between sizes I would recommend trying the next size. Matching clutch bag available, style code MENP74. The black satin peep toe shoe is elegant and classic and always in demand.